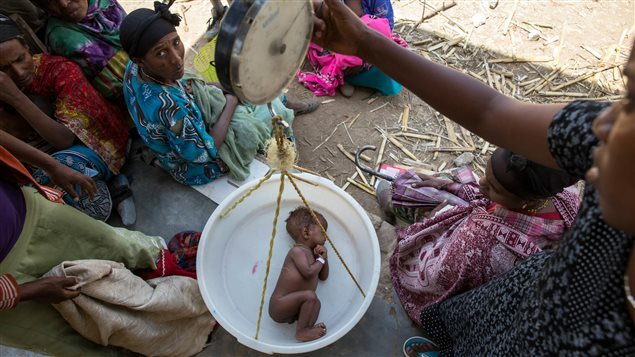 A baby is weighed on a scale in Ethiopia. Two seasons of failed rains mean that nearly six million children across Ethiopia currently require food assistance. Almost one million children in Eastern and Southern Africa need urgent treatment for the most severe forms of malnutrition, UNICEF said Wednesday. “It’s a pretty calamitous combination of what’s really been erratic rainfall for a couple of years and drought, and now the most powerful El Niño weather event of the last five decades,” said James Elder, UNICEF Regional Chief of Communications for East & Southern Africa, in a phone interview from Johannesburg. If left unchecked, the international community risks a “calamity” in terms of loss of life, Elder said. The El Niño weather event is affecting a huge swath of territory from Ethiopia to South Africa, he said. Aid agencies haven’t seen a crisis like this in a very long time, he said. The situation is aggravated by rising food prices, forcing families to implement drastic coping mechanisms such as skipping meals and selling off assets, he said. UNICEF is already seeing increased migration and more risky behaviour from children, such as resorting to prostitution to feed themselves. 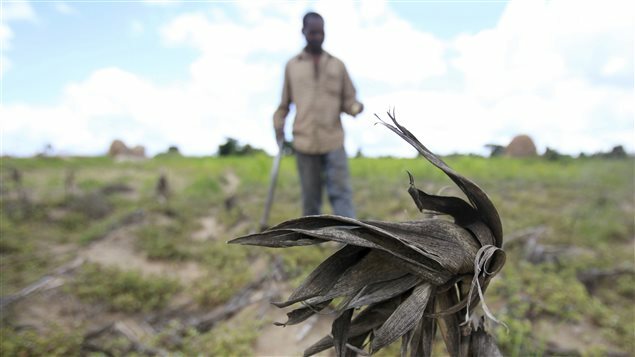 The UN Office for Humanitarian Affairs (OCHA) estimated that it will take affected communities approximately two years to recover from El Niño exacerbated drought, if agricultural conditions improve in the latter half of this year, UNICEF said in a statement. UNICEF humanitarian appeals are less than 15 per cent funded across El Niño-impacted countries in southern Africa, UNICEF said. Officials acknowledge they are “extremely” worried about donor fatigue as the international community struggles to cope with the crises in Syria and Yemen. “I think anyone who works in this business is very much aware of the huge competing priorities,” Elder said. However, intervening now will allow the international community to save lives and money, because an urgent intervention at a later stage would be much more expensive and would come too late for hundreds of thousands of people, he said. 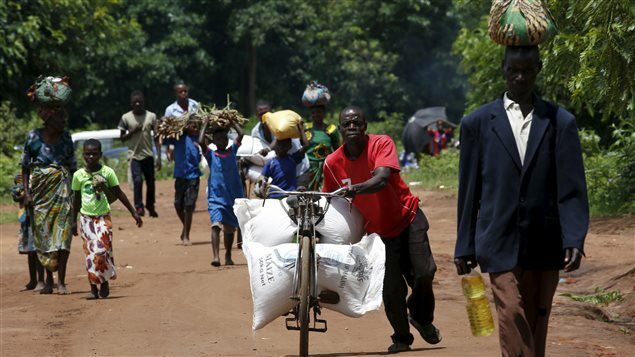 UNICEF urges the governments of affluent countries like Canada to step up their support for humanitarian assistance and relief programs and extend them to Eastern and Southern Africa to avoid “a truly-truly calamitous scenario in a few months time,” Elder said.